"It's great to be an Ambassador for Bounce Back Sports. I am a big fan of their products, so much so, that not only have we had the pleasure of using their inflatables, but we believe in them so much we have actually purchased one as part of our Little Leagies program we run. At Little Leagies we can display all of our logos on the inflatable, meeting sponsors needs and the smart design allows us to set up and pack up in a matter of minutes. The concept is innovative, engaging and the products have the children playing for hours on end. " Scott has played 300 games in the NRL, winning a premiership (and Clive Churchill medal) for West Tigers in 2005. He has played for Queensland 5 times and Australia 4 times in a career that spanned from 1998 - 2013. "The first time I saw the Bounce Back Sports inflatbles in action was at a super clinic I was at. I was in awe of how amazing these things are - it was like nothing I had ever seen before. The kids were kicking goals in the inflatable AFL field for hours - they couldn't get enough. For anyone looking for ways to enagage participants for any sport or event, I would thoroughly recommend it. 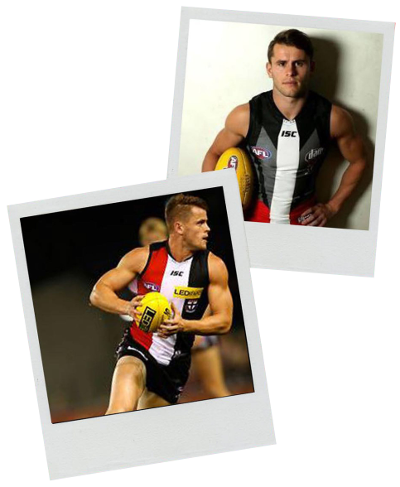 This is not only for children but for those who were also kids once before as well"
Maverick is in his 7th season of AFL football and has almost 100 career games under his belt playing for both Gold Coast and his current club St Kilda. 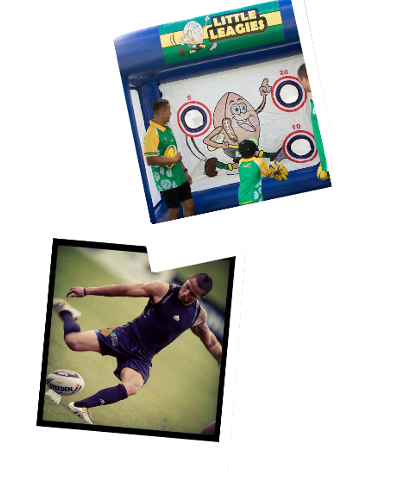 He has been exposed to the Bounce Back Sports brand over many years during whilst delivering sports clinics using our sports inflatables and is a big fan of what we have to offer.